→ Nonfunctional immune system causes anemia and early death in foals. Antibodies that are usually produced after birth cannot be developed by the impaired immune system. At the age of 3 – 6 weeks, when the foal stopps suckling, maternal antibodies decrease in the foal’s body and infections occur. Anemia usually causes early death or euthanasia of the affected foal. Estimated 10% of Fell ponies and 1% of Dales ponies are affected by FIS (data from UK breed societies). 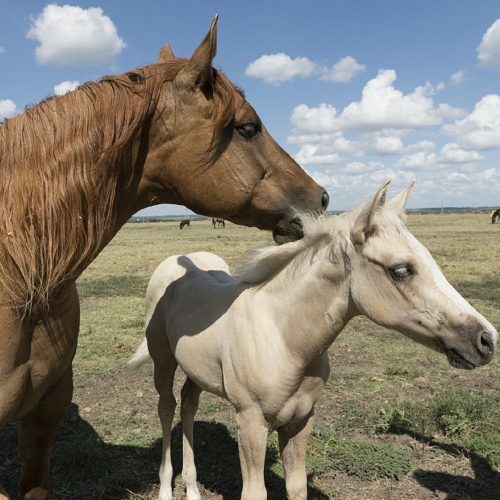 FIS is an autosomal recessive hereditary disease, meaning that horses with only one copy of the genetic variant (N/fis) are clinically normal carriers while horses with two copies of the genetic variant (fis/fis) are affected. 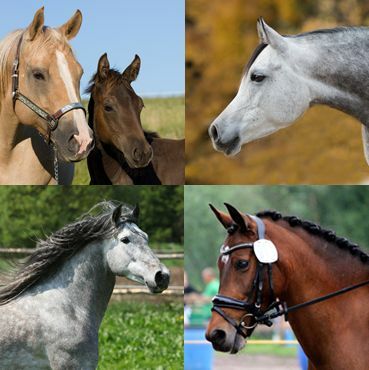 → FIS is an autosomal recessive hereditary disease, meaning that horses with only one copy of the genetic variant (N/fis) are clinically normal carriers while horses with two copies of the genetic variant (fis/fis) are affected. N/N normal. 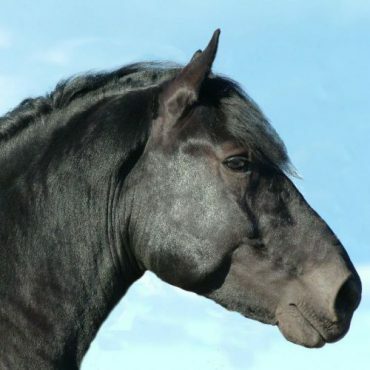 The horse does not have any copies of the genetic variant causative for FIS and therefore cannot pass it on to any offspring. N/fis a carrier. The horse is clinically healthy. It has one copy of the genetic variant causitive for FIS, which will be passed on to its offspring with a probability of 50%. fis/fis affected. The pony is affected and will not live long enough to reproduce. Carriers may be bred to normal animals (N/fis x N/N) without any risk of producing affected offspring. The offspring should also be tested before breeding to determine if they are carriers or normal. Breeding two carriers (N/fis x N/fis) is not recommended due to the possibility of 25% of the offspring being affected. Fox-Clipsham, LY., Carter, SD., Goodhead, I., Hall, N., Knottenbelt, DC., May, PD., Ollier, WE., Swinburne, JE. 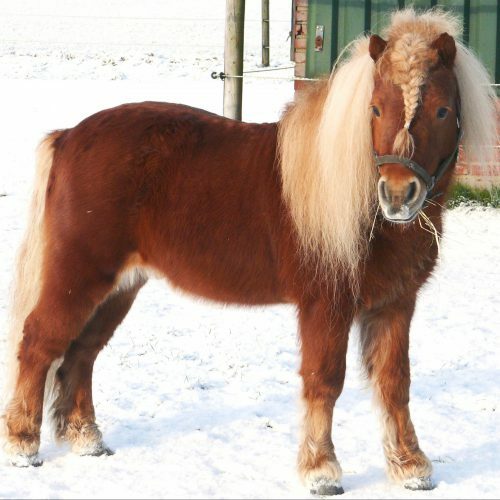 : Identification of a mutation associated with fatal foal immunodeficiency syndrome in the fell and dales pony. PLoS Genet 7:e1002133, 2011. Pubmed reference: 21750681. Doi: 10.1371/journal.pgen.1002133.